“My philosophy when we started this company was to become a true partner with our agents and provide the tools necessary for the partnership to be both financially successful and personally rewarding. Just providing an agent with a desk and business cards does not ensure their success. 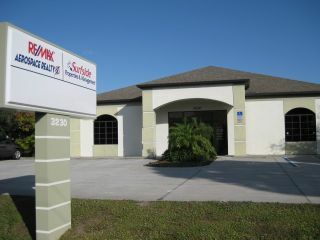 Of course we at RE/MAX Aerospace Realty provide many tools including Showing Desk, Design Center, CirclePix and so much more, however, what sets us apart is a support staff whose job is to motivate, educate, and deliver on the promise to make each and every agent the most productive they can be. We provide our Realtors with agent coordinators to support their marketing efforts, social media exposure, website design, and optimization free of charge. We strive to provide our agents with their commissions when they earn them, either at the closing table or immediately upon presentation in one of our multiple offices. Our offices are situated North beachside, South beachside, and central mainland which provides our agents with the opportunity to do business and have a workplace anywhere in the county.